New York : The American Museum of Natural History, 1938 – 1940. Two volumes, quarto, black lettered yellow cloth, dustjackets (a couple of small chips), the first volume pp. xxv; 629; 9 plates, 22 distribution maps; the second volume pp. xxvi; 621- 1350; 11 plates, 11 text illustrations, 41 distribution maps, a very good set. 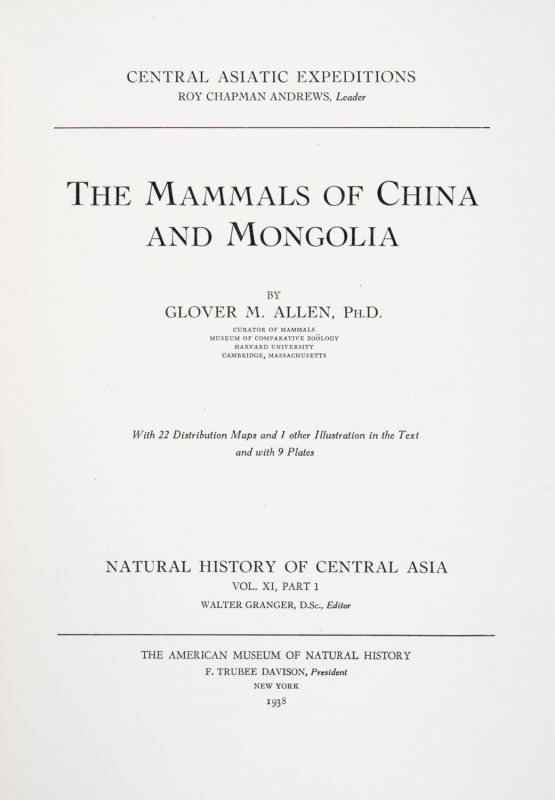 Volume XI (parts 1 and 2, complete), or the series Natural History of Central Asia published by The American Museum of Natural History, 1918 – 1943. New York : The American Museum of Natural History, 1918 – 1943. 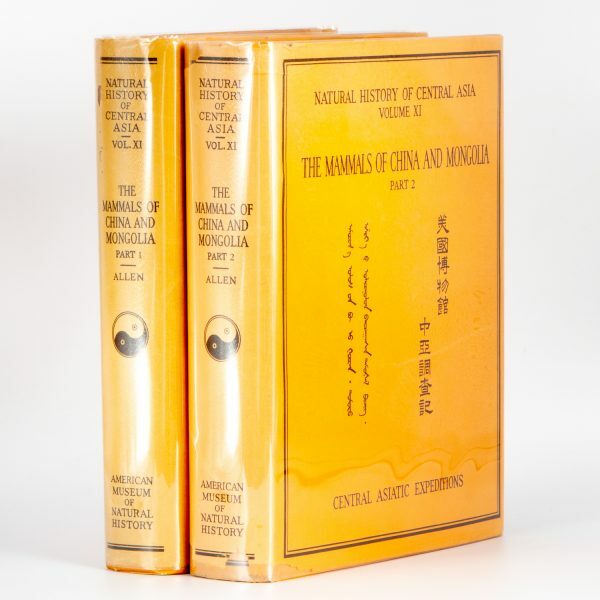 A rare complete set of all published volumes of Natural History of Central Asia and the Preliminary Reports. ‘The Central Asiatic Expeditions explored the natural history of Mongolia and China in the years 1921 – 1930. Field work was conducted in Mongolia during the summers, and in China during the winter months. 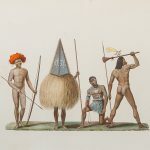 The Expeditions made extensive surveys and secured large collections of specimens and photographs. The American Museum has already published 140 scientific papers based on this material. The final reports of the Expeditions embrace a series of 12 quarto volumes comprising The natural history of Central Asia. Volumes I, II, IV, X and XI have been published. Manuscript for Volume IX has been received, while copy for the other volumes is in preparation’ – from the dust jacket of vol. XI. The Central Asiatic Expedition was an extraordinary scientific endeavour lead by the charismatic adventurer Roy Chapmen Andrews, who many believe was the basis for the character Indiana Jones. 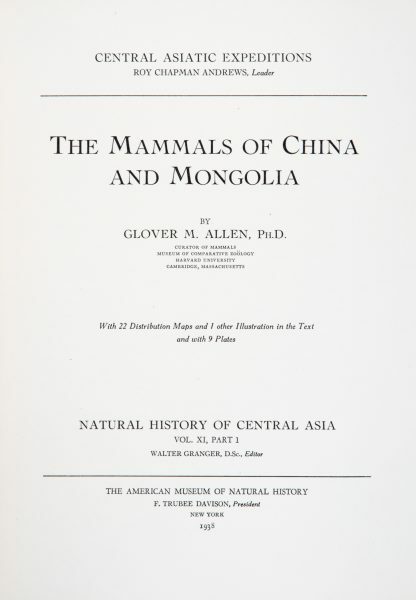 In 1920 Chapman and his scientists from the American Museum of Natural History drove a fleet of Dodge cars west from Peking across the desert to Western China and Mongolia, in the search for the origins of human beings as well as a detailed scientific survey of the fauna and geology of the region. 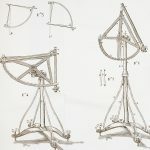 The expedition lasted 10 years, and resulted in a series of papers and published volumes, intended to number 12 but not all of which were published. 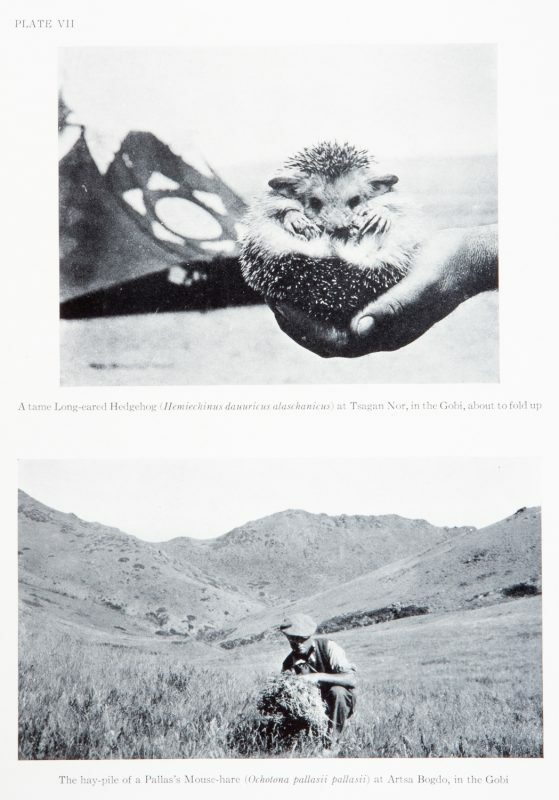 The first, The geology of Mongolia, was published in 1927 while the expedition was still underway, while the final volume The fresh-water fishes of China appeared in 1943. The remaining volumes were never published. Andrews would become President of the Museum in 1934. The Expedition resulted in numerous achievements for the Museum, including the collection of the first fossilised dinosaur eggs ever found. 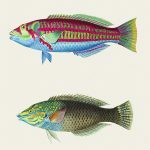 The published volumes are individually invaluable resources in the study of their fields, with extensive series of photographic illustrations, plates and diagrams. 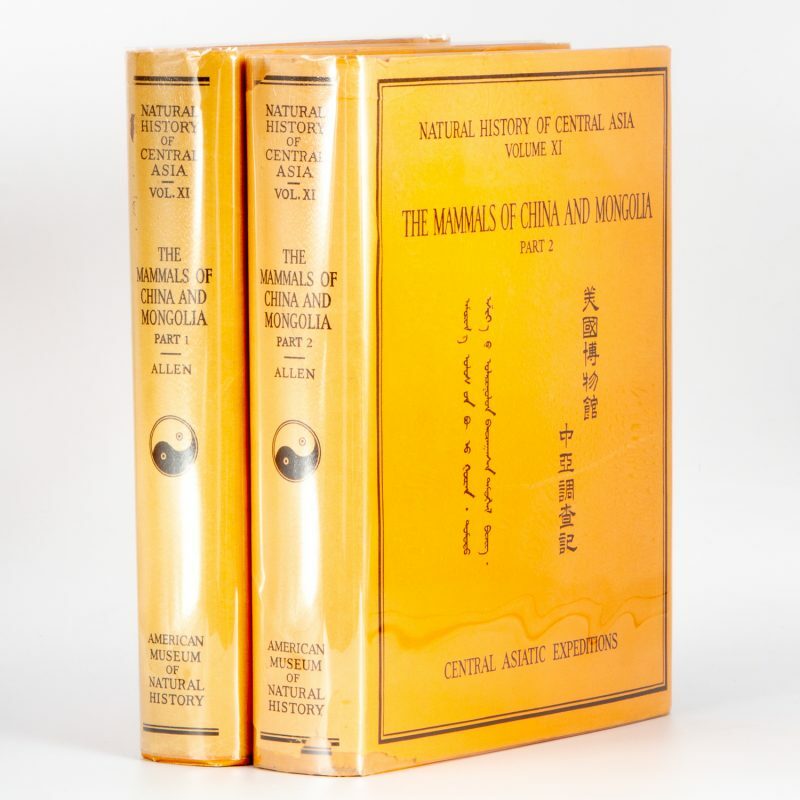 Due to the fact the various volumes were published intermittently over two decades, and out of numerical order, it is rare to find a complete set.